The Dallas protest was against the killing of black men by police, and similar rallies drew thousands across many US cities on Friday. The demonstrations followed the police killings ofPhilando Castilein Minnesota andAlton Sterlingin Louisiana. Dallas police chief David Brown and US Homeland Security Secretary Jeh Johnson also said the gunman appeared to have acted alone, although Texas Governor Greg Abbott said police would “continue down every rabbit trail… ensuring that we eliminate any other possible suspects or co-conspirators”. Officials on Friday had spoken of a co-ordinated attack by at least one sniper. Three other suspects were arrested after the shootings but no details have been released about them. A number of gun attacks on police officers and civilians have occurred in other parts of the US in the aftermath of the deaths in Minnesota and Louisiana. 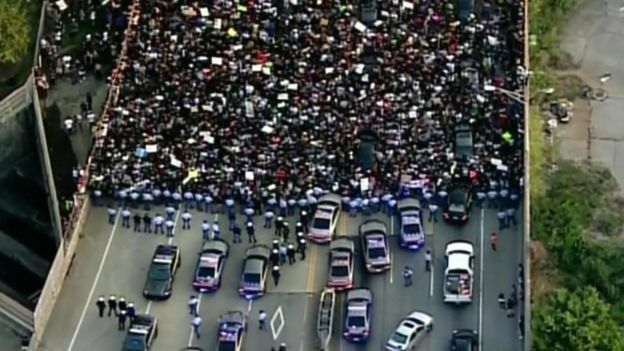 In the Georgian state capital, Atlanta, on Friday evening, thousands marched in protest at the recent police shootings but although roads were blocked off the demonstration remained peaceful. Protests against police killings were also held in other cities including Houston, New Orleans and San Francisco. In Baton Rouge, Louisiana, protesters chanted “no justice, no peace, no racist police”. There have been some arrests at the rallies, but again they were peaceful. Leaders of the Black Lives Matter organisation have condemned the Dallas killings but say planned marches, including a “Weekend of Rage” in Philadelphia, will go ahead. A Black Lives Matter marchwas also held in London on Friday. In Dallas, Mayor Rawlings addressed thousands at a vigil to honour the police officers, urging Americans to “step up” to heal the nation’s racial wounds. 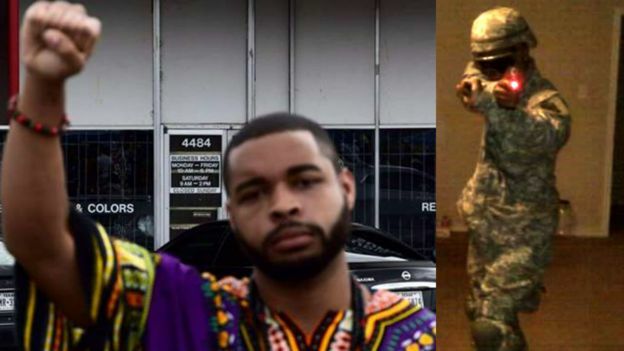 Police in Dallas said the bomb-making material was found when they searched the home in the suburb of Mesquite where Micah Johnson lived with his mother. Johnson was killed by remotely detonated explosives that were sent into a car park where he had taken refuge after the shootings. Mr Rawlings said the suspect had been given a choice of “surrendering without harm or remaining in place”, adding that he chose “the latter”. Johnson, a member of the US Army Reserve from 2009 to 2015 who had served in Afghanistan, had no criminal history. But it has emerged that he was accused by a female soldier of sexual harassment in Afghanistan and was sent home. A lawyer said Johnson was to be removed from the army in September 2014 but was instead given an honourable discharge in May 2015. 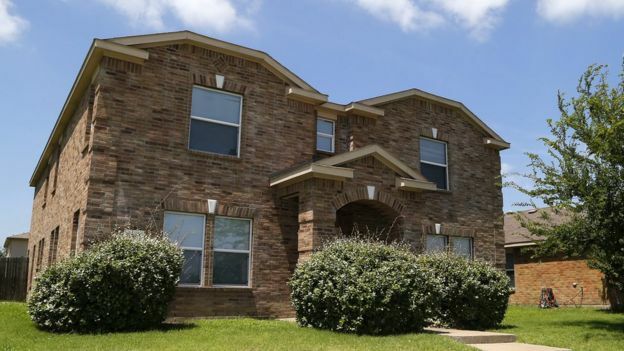 Chief Brown said the suspect had told a negotiator that he had wanted to kill white people, especially white police officers, because he was angry about the recent shootings of black men by police. Two civilians were also injured.